Maybe it’s just me, because I love to write, but recently, I have started journaling and I can’t help but notice how much more calm and collected my mind seems to be. (Well, not recently, but for about 6 months now.) Even so, I look back on what I wrote these past few months and can’t help but smile. To see how my perspectives have changed, and to see how much my life has changed is rewarding and honestly, encouraging. It’s no question that being a college student is extremely stressful. Students are expected to study for 2 hours per hour of class time. Upkeep an acceptable social life. Get 8+ hours of sleep. Eat healthy and get exercise. Have time to call your family and friends back at home. Self care gets pushed to the side much too often. I have learned that a very easy fix for this is to simply dedicate a journal to your thoughts, memories, and ideas. Since I have began my journal in July, it has kept me on task. I started my journal as a “themes, thoughts, and actions” journal, in which I would start the page off with my “themes” of the day. Some examples of these themes are mental health, faith, or honesty. I would then go in description of why these were my themes of the day, and what occurred throughout the day to make me ponder these themes. Lastly, I would set “actions” for myself to upkeep these themes in days to come. Eventually, that set-up became hard to keep up with, and it just eventually morphed into a journal where I will record my day, how I am feeling, and my goals. It has become one of the highlights of my day. I cannot wait to get some downtime to just be alone with my thoughts and words. Okay, so what? How does writing down how you’re feeling actually lead to a more collected and calm mindset? In simple words, it will help clear your head, and above all, it will help you make important connections between your thoughts, feelings, and behaviors–a sort of self reflection. I have noticed so much about myself simply by reading my own words. I have realized how to become less jealous, appreciate the good things, and focus on my own self improvement. Not to mention, it helps me to remember the good days. Days that I may not have remembered if it wasn’t for my journal. Days where I laughed with my family, days where I was traveling, and calm days where I was relaxed and truly happy. It is a reminder that those days will come again. Now I cannot promise that your results will be the same, but I encourage you to at least try it. Journaling has truly improved my outlook on life, my mind, and my faith. It helps keep me organized and thankful for the life that I have created for myself. The history of tea spreads across many cultures over the span of thousands of years. Beginning as a medical remedy, tea has many uses and millions of drinkers per year. Tea has been a staple in my life since my mom got me to drink it in middle school. My favorite thing about it is how calming a hot cup of tea can be–the aroma, the warmth. What many people don’t know about this herbal sensation though, is how beneficial it can be to your health; mental and physical. Here’s how a daily cup, or a few, can be good for you, along with a few healthy teas that you should most definitely try. Everyone’s heard of these “mysterious” antioxidants, but what do they actually do? Antioxidants work to prevent toxic build-up in your body. Therefore they help to keep our skin and body young, and protect us from damage from air and water pollution, which may make its way into our bodies during every day life. Because white tea is slightly less processed than green tea or black tea, white tea is the best way to revive the most beneficial antioxidants. My favorite white tea is Youthberry by Teavanna. It is a citrusy tea with a mild caffeine level. Perfect for an early morning! It can boost your immune system! Holy basil/tulsi tea has been used by Ayurvedic pharmacists for hundreds of years. Their use? To help upkeep the immune system. They would use this tea after injuries or illnesses. Tulsi tea maintains antibacterial, anti-fungal and anti-inflammatory properties. This is the most popular immune-boosting tea, but many others hold the same properties. There is evidence that chamomile tea can also help strengthen your immune system. Even if you don’t strongly feel these effects, it is only helping because tea is loaded with wonderful antioxidants! My favorite chamomile tea is by SleepyTime. It is calming and is amazing to drink when you’re settling down after a long day. Drinking is an obvious way to help reduce stress. Green tea contains an amino acid, L-theanine, that produces a calming effect. Who doesn’t need a good organic stress-reliever now and then? Especially as a college student, a nice hot cup of green tea now and then really calms me down before a big exam or before I start lots of homework. Personally, any warm drink relieves stress, but siping on warm, aromatic green tea can make the whole day melt away. My favorite green tea is Yogi green tea super antioxidant. Living in on-campus housing means lots of things; new friends, close living quarters, and definitely lots of laughter. But it also comes with questionable bathroom situations, leaky water fountains, and sickness that can spread like wildfire. Perhaps the worst of them all is–you guessed it–the dining halls. Or as some may call them, mess halls. As we all know, they don’t always have the most healthy or appetizing options. As incoming freshman, it is already incredibly hard to eat well, and without the sports and activities from high school, staying healthy can be incredibly challenging. Keeping yourself from gaining those freshman 15 is even harder than it looks. My friends and I have mastered the art of eating in dining halls, so here are some of our best dining hall food tips; refined. Before taking your daily trip to the dining hall, fill up on water. Drink at least a cup or two. This will give you a full, hydrated feeling so you’re less likely to take seven trips to the buffet. Likewise, make sure you drink water with your meal. I know that the soda machines are tempting, but water will get the job done and save you tons of calories. Pretend like sweetened beverages aren’t even an option. This one can be challenging too. With the hundreds of options at a dining hall, your eyes automatically go to pizza, cake, ice cream, french fries, etc., and you can be tempted to load up with a few plates. Keep in mind that one plate will fill you up and give you enough energy to continue on with your day. Save the sweets and fried foods for another special time, you’ll enjoy them more anyway. Do your best to balance your meal too. Get some protein, dairy, grains, fruits and vegetables–a little bit of everything. This is a great tip if you’re trying to watch what you eat because it gives you a physical limit that you have to stick to. Sticking to balanced, realistic portions is one of the most important goals that you must set for yourself. Fresh food is tough to come across in dining halls, but when you see it, take advantage of it. As college students, we don’t necessarily get the option to each fresh fruits or vegetables very often. So, when you see some bananas or apples out, grab em while you can. Keep a mindful eye on what you’re eating at the dining hall, but don’t make it end-all-be-all. Eating in college shouldn’t be stressful. As gross, repetitive, and boring as it may seem, a lot of memories are made at the dining halls. Some of my fondest, most nostalgic memories have happened at the dining hall while I’ve lived here on campus. Don’t make eating healthy stress you out, just simply follow these quick and easy steps to become mindful of what you are putting into your body. Selling secondhand items online can be challenging–trust me I’ve been there. Now more than ever, I see people trying to get rid of last year’s hottest fashion that just doesn’t quite make the closet cut this year. Tons of online sellers have made their closets into full-blown businesses, but just getting started is the issue. After being on Poshmark for about a year, and having some pretty good success, I want to share some tips and tricks for how it all started–a little determination and some hard work. The first step is to go through your closet and pick out the pieces that you haven’t reached for in over four months. I like to use the four month mark, because it covers seasonal changes. If it’s January, and you haven’t reached for a piece since September, there’s a pretty good chance you can live without it. Then, posting the items is simple. Make sure you label the size, colors, and brands correctly so when the buyer receives the item, they have no room to claim that it was not how you described it. You will lose money and buyers that way. Make sure the pictures you take are in good lighting. Adding some accessories or showing how this piece might work within an outfit is a good idea–it might spark some interest in the buyer’s mind of how they could use it in their own closet at home. Another thing you could do with your pictures is use stock photos. If the piece of clothing is a notable brand, you can surely find a model wearing it online released from the company. This makes your profile look professional and eye-catching. Be careful if you do this though, make sure to add pictures of the specific thing you’re selling too, customers want to see exactly what they are buying, not only the stock photo. One last trick to posting is to post at night! People are just scrolling in their beds before they go to sleep looking for something to catch their eye. This is a great posting strategy! 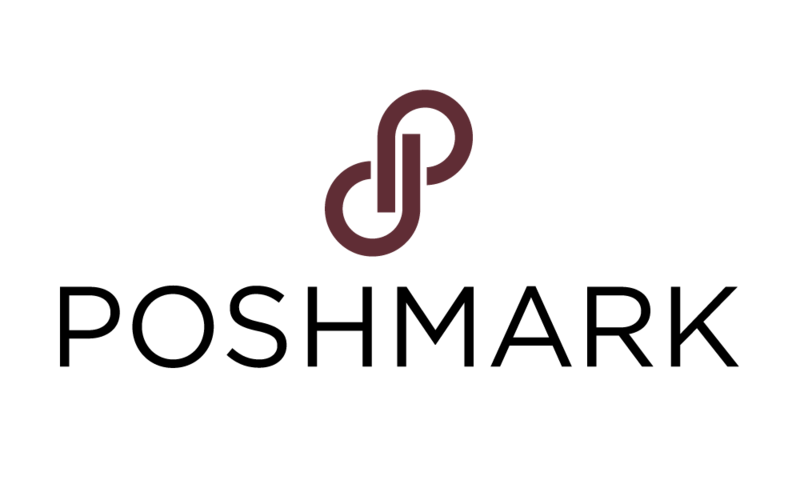 The second step that is probably most important is to be active on Poshmark. Any secondhand online business takes work to get the job done. When I first began poshing, I would update or share my items every morning when I woke up and every night before I went to bed. It is as easy as the click of a button and will only take about ten minutes max. The more your share, the more your items will pop up first on your follower, and brand’s feed. Being active is key. Commenting, liking, and sharing other posher’s items will get your name out there and attract more people to your account. The app itself is easy to navigate, but you also have to keep in mind is that this isn’t any easy task to sell. The clothes won’t sell themselves if you just leave them on your page without sharing, commenting, liking, and entering other posher’s parties. This has to be an all-the-time thing. Third, make BOGO’s, sales, and price reductions. Poshmark notifies your followers every time you reduce a price, which will lead people to your profile. As a young woman, any sale catches my eye. If I think I can get a bargain on some gently used Lululemon leggings, you bet I’ll get them. At the beginning of my Poshmark career, I would reduce everything that fell into a certain category. For example, in November, I would reduce everything my closet that was winter wear. People are much more likely to buy something if it is in season AND is on sale. Try to keep your items as far away from retail price as you possibly can in order to maximize my sales. Lastly, focus on your customer service. Every time I make a sale, I will write a handwritten note that says something like, “Thank you for your business. I hope you love your new shoes! XO -Hanna.” It really feels nice to open a package and know that the seller really took their time packaging and shipping my item. It feels personal, not like you’re buying from a large retail brand. Poshmark’s CEO recently said this about the app, “The key to our success was planted years ago when we decided to launch something more than just a resale platform: a platform to support people to start, run and grow their fashion businesses,” Become your own boss and make a little extra money on the side with these tips and tricks. Picture your town without any small local shops, cafes, or restaurants. A sad picture, isn’t it? What would be left? Nothing but Walmarts, Bob Evans, and the occasional Starbucks? Small businesses paint a more unique, personalized, and exciting picture of the world we live in. Shopping local is getting more and more difficult as companies like Amazon, Ebay, and even sites such as Mercari and Poshmark take the lead in online sales. Many people do not understand the true benefits of stopping by a locally owned store. Have you ever thought about walking downtown to some local boutiques, and how that decision can affect your community, tax dollars, and even the environment? Here are the top 6 reasons why you need to shop, eat, and buy from small businesses during your next coffee break. You will keep your money close. For every $100 you spend at a locally owned businesses, $68 will stay within your own community. Only $43 stays within the community when you purchase from a large retail chain in your area. Even worse, $0 are given back to your community when you shop online, unless it is a local business’s website. More money within your neighborhood = a better local economy, and more diverse businesses (Civic Economics – Andersonville Study of Retail Economics). You will create more jobs. More than half of the United State’s jobs since 1995 have been created by small businesses. According to the SBA (Small Business Administration), large retail businesses eliminated 4 million jobs, while small businesses added 8 million jobs since 1990. The more you shop at a local company, the more job opportunities you can help them create. And then when you brag about the cool new shoes you got downtown, all your friends will flock to shop local too. Imagine the possibilities if we all shopped small for even a weekend what that would mean to our communities. You will fight the impact of climate change. Buying from a locally owned business conserves energy and resources. No packaging, no shipping, no burning fossil fuels for transportation… sounds like a win win. Likewise, when you eat local, your food is most likely not sprayed with pesticides and grown organically, because these businesses are not providing for hundreds of people everyday. You will receive better customer service. Small business owners strive to stay in business, so their services are unmatched. This is probably their biggest advantage over large retailers. They have less customers to interact with as well, which means the interaction will be more memorable and real. Shopping face-to-face means you are guaranteed your service/product as well, unlike when your Amazon package gets lost or damaged in delivery. You will make your community a destination, not a stop. If everyone joins in to shop small, there’s no doubt that your community will thrive. The more interesting and unique your community is, the more you will attract new neighbors, visitors and guests. You will create your own unique style. Shopping local, especially for clothes, gives you access to unique pieces that you can’t find at any American Eagle. Boutique owners have more of a passion for clothes, and will provide more fun pieces. A large retailer is often started by someone who desires to make money, and doesn’t necessarily think about the fashion involved, or even the customer. Local businesses carry a wid­er array of unique products, because they buy simply for their own individual markets. Shopping local doesn’t need to be hard. Hey there fellow spring-breakers! It’s about time to start planning those much-awaited, and much needed, spring break trips. There are so many reasons to be excited about planning a vacation. What to see, where to stay, what to wear. The list goes on and on. Now more than ever people are willing to throw their money around for a relaxing vacation. Wouldn’t you rather pay for a relaxing vacation knowing you’re doing your part to save the planet, than spend money knowing that you’re contributing to the depletion of our Earth? What many people don’t understand, or don’t think about, is the amount of damage tourism currently does to our environment. I challenge you to take Mother Earth into consideration while planning this year’s getaway. Many popular vacation spots increase resource use in places where those precious natural resources are already scarce, or over-industrialize the habitats of the plants and animals that already live there. Enormous stress is put on the land, water, and air that is used for tourism. Many tourism practices can lead to soil erosion, increased pollution, natural habitat loss, and intense pressure on endangered species of the area. The tourism and hospitality industry continually overuses water resources for hotels, swimming pools, and golf courses–but it doesn’t stop there. As more money comes in, the more the area is developed, the more green space is paved, and the more trees are cut down. In general, these “getaway” areas already have a shortage of resources because of years of wear and tear by visitors. What can we do to help? The answer is simple–stop giving business to tourist locations that blatantly disregard the land that gives them business in the first place. You can get even better views, beautiful scenery, and save the planet for the same cost as your usual beach trip. Try these captivating, unique, and eco-friendly getaways for this year’s vacation spot. The Blue Lagoon located in Grindavík on the Reykjanes Peninsula of Iceland, is entirely powered by geothermal energy. The resort built a unique power plant that drills deep wells up to 2,000 meters into the ground to tap into the 240 degree geothermal fluid, an alternative to fossil fuels. This is then used to create electricity and to heat water within the resort for central heating. This innovative power plant is the only one of its kind, and to go along with the eco-friendly power supply, the architecture is completely made of Icelandic moss and stones–pretty cool. 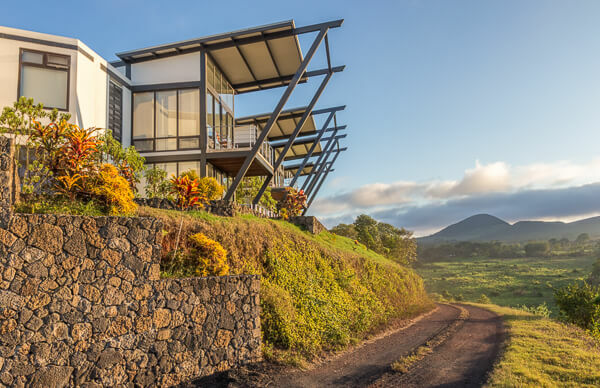 Pikaia Lodge located in the Galapagos Islands offers scenic hikes, boat tours, and wildlife adventures also completely powered by alternative energy. The eco-friendly lodge, built on an extinct volcano crater, is home to its very own Tortoise Reserve, as they are critically endangered. Pikaia Lodge’s whole brand is centralized around the fact that they are 100% eco-friendly and want to share with their costumers why this area of the Galapagos Islands is important to them by offering their services. A similar approach to the Pikaia Lodge, Arctic Kingdom located in Iqaluit, Canada aims to show costumers why it is so important to save the planet by offering their services. They work in some of the most fragile ecosystems in the world, and with people who depend on the land to survive, Arctic Kingdom says they are “deeply committed” to supporting sustainable practices through all of their adventures. They have almost no environmental footprint, operating in small groups and ensuring their camps operate sustainably. They truly have a passion for their environment and want to preserve it so they can share it with the world. 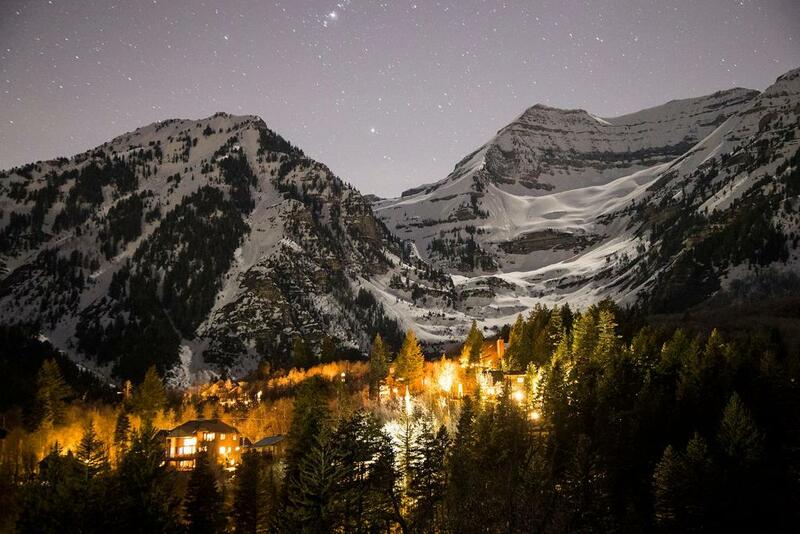 The beautiful Sundance Mountain Resort on Mount Timpanogos in Utah, is dedicated to sustainable living. Instead of overdeveloping, founder Robert Redford finds beauty in the surrounding areas of the resort and says, “Our commitment to Sundance has always been to develop very little and preserve a great deal.” Their lodging is completely green, and even have restoration projects around the surrounding areas. Visit their website to find out just how much they truly do for the land that they use. Rancho La Puerta Resort is a leader within its community and provides an immaculate example of what “being green” means. 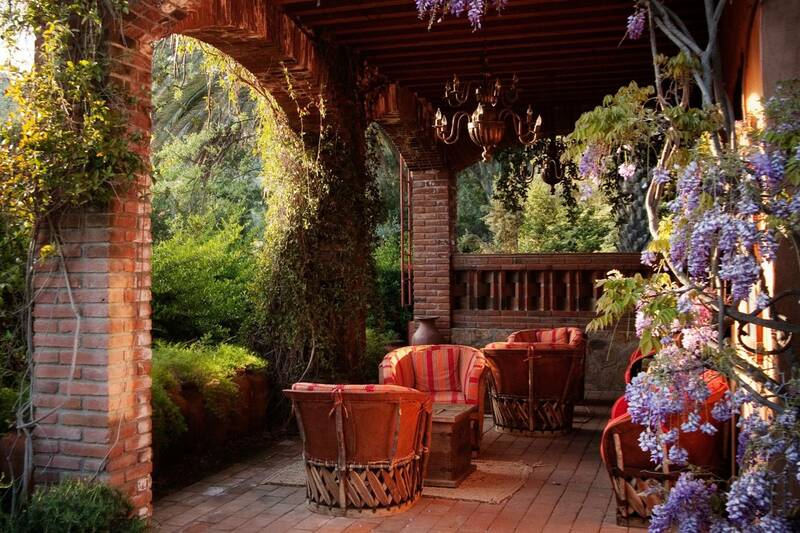 Located in Tecate, Mexico the resort has an on-site garden with 22 full time gardeners, which produces vegetables for the resort kitchen. The gardens are fertilized using composted organic matter and only use natural pest management. There are 200 different plant species and migratory birds, which have made Tecate a station within their path. These species at Rancho La Puerta remain undisturbed. Not to mention, the resort is absolutely stunning. As a college student, the holidays become very different. Because Thanksgiving and Christmas are rapidly approaching, I continually find myself reminiscing of being a kid during the holiday season. On long rides, my dad and I would count the number of houses with Christmas lights up. I would watch the Thanksgiving Day parade, every single year, in the same spot on my couch all bundled up with the fireplace on. 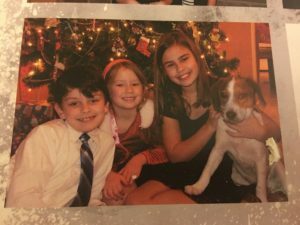 I specifically remember waking up on Christmas morning at 6 a.m. being completely overwhelmed with joy–a feeling I’m sure all of you can recall. I remember decorating cookies with my mom. I remember my brother opening up video games on Christmas morning practically in tears. I remember sitting in my basement making endless reindeer and Santa-themed crafts for my family. I remember those times with a smile, and think about how simple things were and how genuinely happy I was. Fast forward to now–adult life is spiraling toward us all too fast. Your childhood home isn’t “home” anymore. You live in a dorm or an apartment. Your sibling moved into your room. You are on track to get a career of your own. You hardly have enough money to buy shampoo, let alone Christmas presents for your family and friends. Although things may be much different at this point in our lives, one thing that will always stay the same is sharing the holiday season with the people that you love. We can’t slow down time, we can’t bring back our belief in Santa Clause, but we can continue to make new memories in new ways by cherishing the holiday season in a little bit of a different way. There are only so many opportunities to spend with your friends and family at home as a college student. Wake up an extra hour earlier to eat breakfast with your dad. Meet up with your old friends for lunch. It’s the little things that culminate into fond memories in the future. Say yes when your mom asks for help making cookies. In a few years you will understand why–you may even reminisce on these times and wish you could return. I know this article isn’t for everyone. Some people may already have obtained this mindset, some people may live at home and commute to school, but I also know plenty of students who don’t necessarily want to go home for the holidays because of the independence and confidence that they have gained while away at college. So many students feel defensive of their new college lifestyles, but there’s nothing wrong with putting your pride to the side for a second and doing a few things for your family and friends to let them know how much you appreciate them. You’ll never get these times of your life back, so please make the most of them now. Finding time in your schedule to register for a class, remembering to bring all your yoga gear, squeezing your mat into a tiny space amid the sweaty crowd–sometimes going to a yoga class can be less than a peaceful experience. The answer: do it at home. Yoga has been known for centuries to ease your thoughts, strengthen your body, and improve your overall health. You’ll even hear that it creates harmony between your mind and body. Everyone wants these results, but who has time to go to a studio everyday? It’s no doubt that yoga is one of the most beneficial practices to keep you feeling happy, healthy, and at peace. Doing yoga at home is not ideal, but it can be done quickly and efficiently, and ultimately saves you time, money, and energy. Don’t stress about getting to a yoga studio, or paying for monthly classes–start small (and start free). Because there are so many poses and different kinds of yoga, it’s possible for anyone to start at any time. Once you start and experiment a little, you’ll find out exactly what works for you. Grab a yoga mat, or even a blanket or towel, and try these relaxing, easy poses to get your day started off on the right foot. Child’s pose– I like this pose because you can feel your muscles at work, but it also is very relaxing. It doesn’t take much skill, but I promise, even doing this three or four times a day, you will feel a difference. Your mind is more aware, anxiety is lower, and you feel more energized. To do child’s pose: 1. Sit comfortably on your knees with your heels touching your rear end. 2. Roll your body forward, placing your arms out in front of you (palms down) and your forehead on the mat. Make sure you can feel the stretch in your lower back. 3. Lower your chest as close to your knees as you comfortably can. 4. Hold and breathe slowly, in and out through your nose. Pigeon pose– This pose can really rejuvenate your body even when feeling fatigued. Similar to child’s pose, this pose doesn’t take much skill, and if you do it often enough, can really improve your flexibility. Pigeon pose makes me feel more agile and energized when I do it in the morning. A good stretch always starts the day off on a good note. To do Pigeon Pose: 1. Begin in a planking position. Then, bring one leg up underneath you so that your heel is parallel to the opposite side hip. 2. If you are more flexible, put your body all the way down until your forehead touches the ground, like in child’s pose. If not, you can keep your body upward, like in the picture shown below. 3. Hold and breathe slowly, in and out through the nose. Cobra– The Cobra pose is one of my all time favorites because you can feel it working. Similarly to the poses above, this pose is very simple and perfect for beginners. A combination of these three poses before heading off to class, work, or a day of errands will put your mind at peace and leave you ready to tackle the task ahead of you. To do Cobra: 1. Begin facedown with your hands flat on either side of your belly button. 2. Push up, and arch your back with your head titled back toward your feet. Make sure you feel the stretch in your abdomen. 3. Tighten your gluten and back muscles. 4. Hold and breathe slowly, in and out through the nose. Who’s not a fan of a gooey, sweet, and easy dessert? The answer is no one. The problem? How hard it is to restrain yourself when it comes to sweets most of the time. The solution? Mug desserts! Mug desserts are a single serving treat that’s put together and heated in a coffee mug in the microwave–its that easy. These simple recipes create a serving size of some of your favorite, delectable desserts. Perfect for satisfying your sweet tooth without packing on the calories or breaking the bank. When the craving for something sweet hits, we don’t want to have to go out to the store, or make a huge batch of brownies and cookies. Mug desserts are a no brainier. Microwave for 1 minute on high. Place 3 tbsp of mixture into your mug. Add water and whisk together to form batter. Add 1 tbsp jelly to the center of the batter. Top with the remaining jelly and enjoy! Microwave butter in mug for 10 seconds until melted. Add 4 large marshmallows. Microwave for 20 more seconds. Watch to make sure marshmallows don’t overflow. Mix in cereal and stir until well-blended. Whisk ingredients in mug until well-mixed. 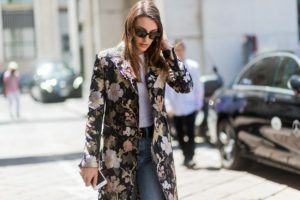 Historically, florals are only a print that women would wear during the spring and summer months. As recently as Fall/Winter 2017 though, many designers and celebrities have taken that trend and pushed the boundaries. Balenciaga, Giambattista Valli, Coach—you name it. They have all recently sent floral looks down the runaway with their fall collections. Suddenly, florals have become a go-to all year round and not just went the suns out. So, what’s next? How does the average Jane Doe wear something so new and high fashion? 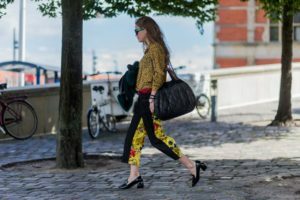 Here are the easiest tips and tricks to incorporate the latest fall fashion, florals, into your own wardrobe. As the weather gets chillier during fall, outfits become more layered and more elaborate. The trick to a stunning autumn outfit is to draw in the eye of your observers. What better way to do that then a floral print? A simple, but impactful piece like a floral utility coat or long jacket is the perfect way to do so. It will keep you warm, but also looking like a million bucks. If a giant coat isn’t your cup of tea, try this tip! Using floral as a simple detail is unique and can be show stopping. A floral ascot, a floral pair of shoes, or even a floral scarf will turn heads. This is an easy way to make it look like you put a lot of effort into a look when really, you just slipped on your favorite floral shoes. Use floral in unconventional ways! High fashion is all about taking risks and having fun with what you are wearing. Mix and match your floral with different patterns like fur or animal prints, both of which are great autumn trends. Another thing that is really in style right now is color blocking! Grab some fun pieces that combine color blocking and floral—you will be killing it! If you really want to have fun with a floral print during the fall, go for a head to toe floral look! Something like this will keep you warm while also looking put together and fun. This is also an easy way to make it look like you put a lot of effort into the outfit, when really it is just a bodysuit or two piece set. Choose simple toned accessories to balance out the look and you can’t go wrong!